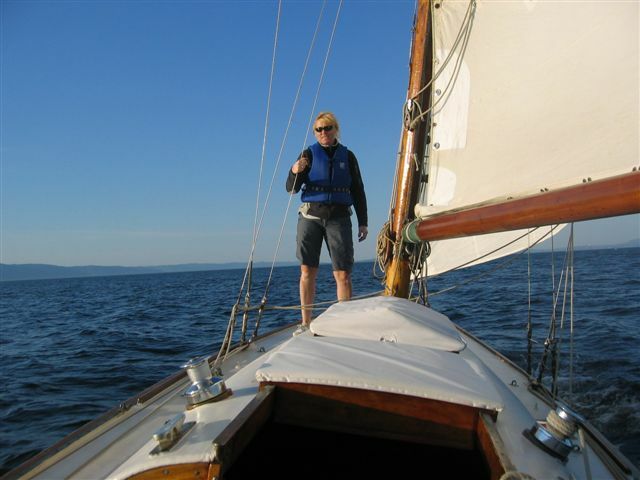 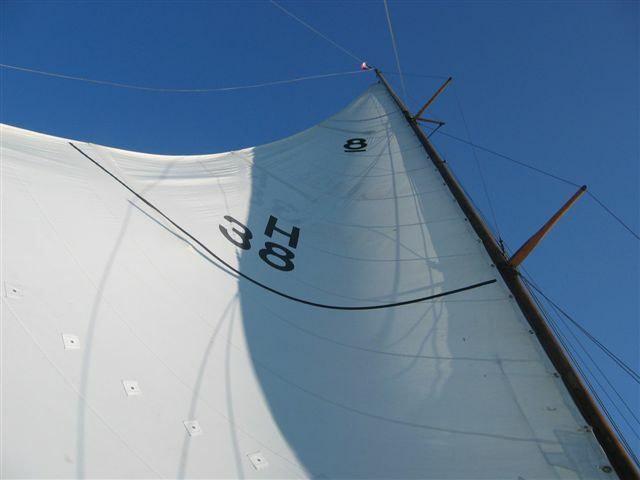 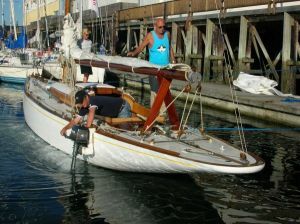 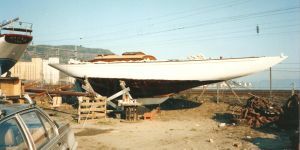 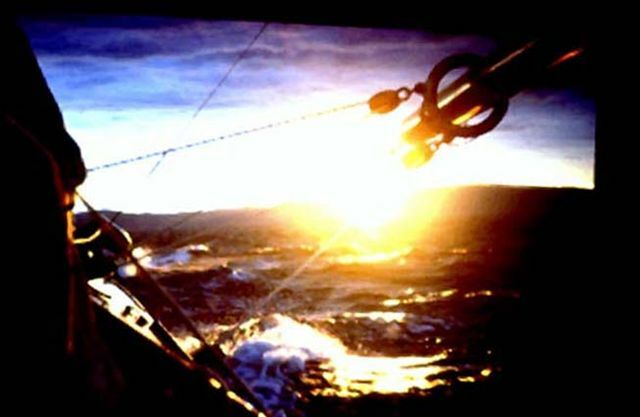 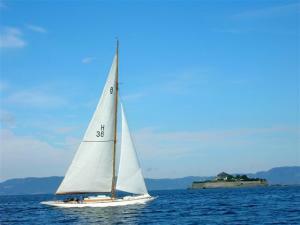 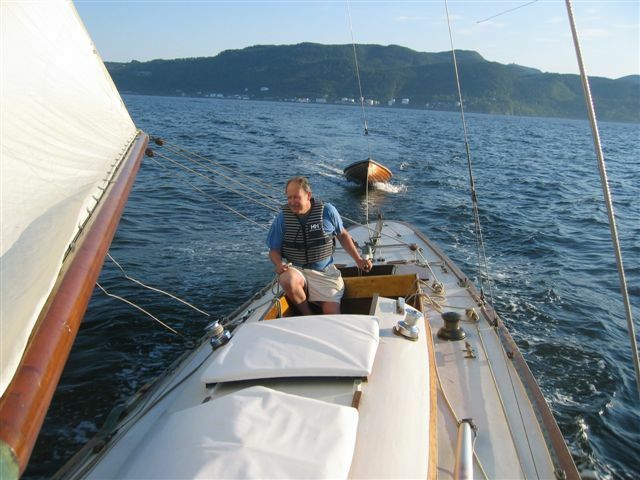 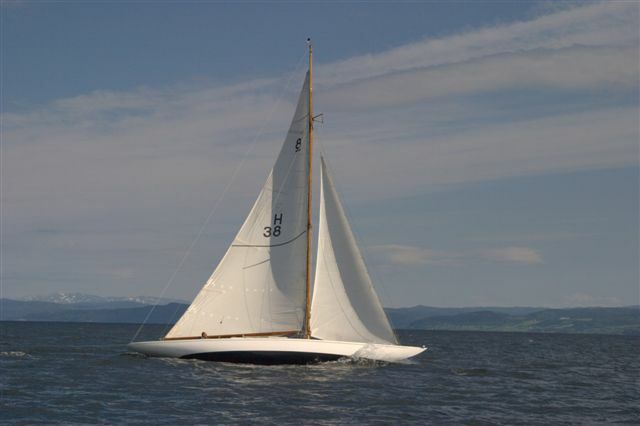 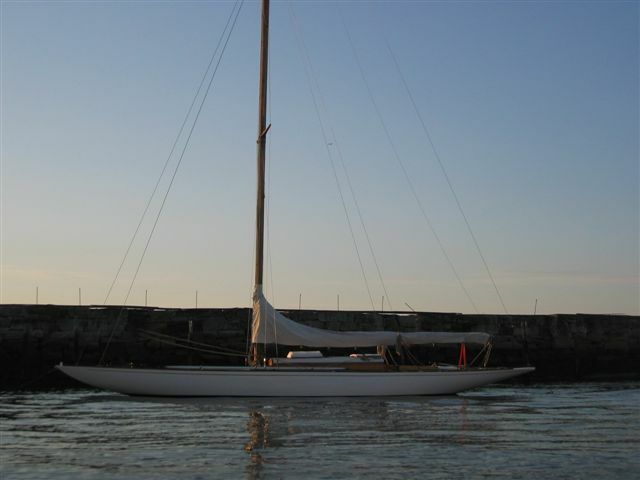 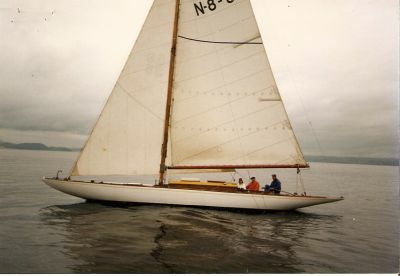 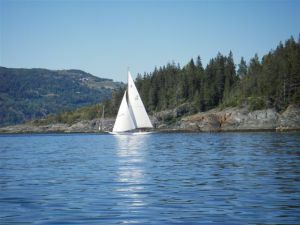 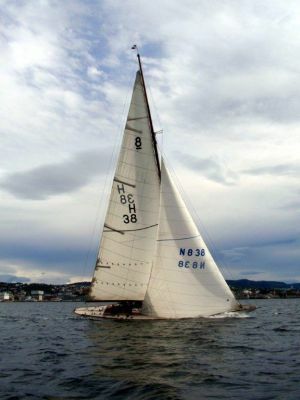 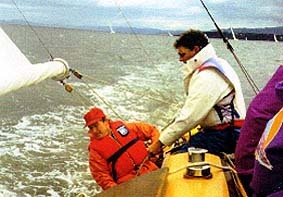 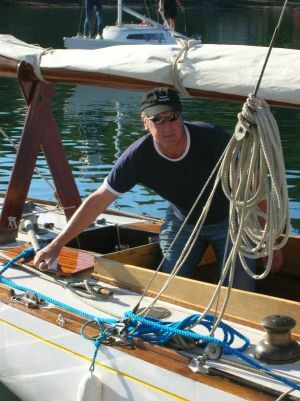 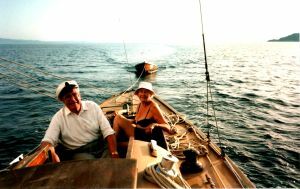 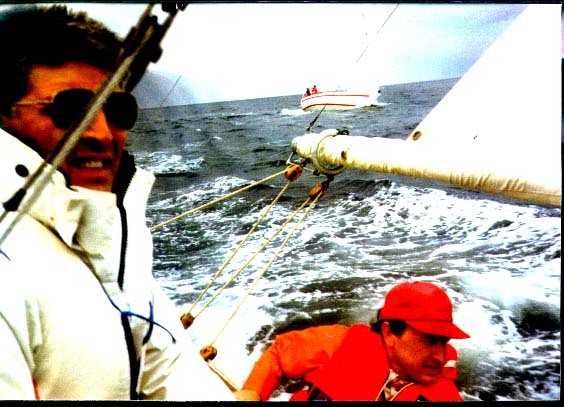 Ole C. Östlund in the early 1990-ties continues, bringing her up to the status of "Snarken today"
Crew racing; Ole, Anita and Bjorn Nergaard (volounteer). 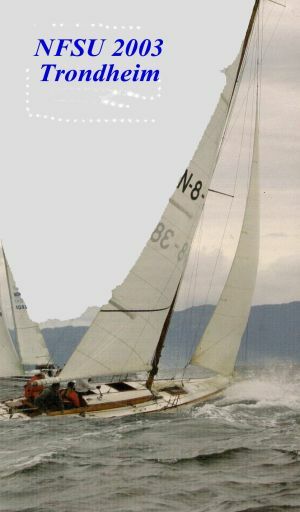 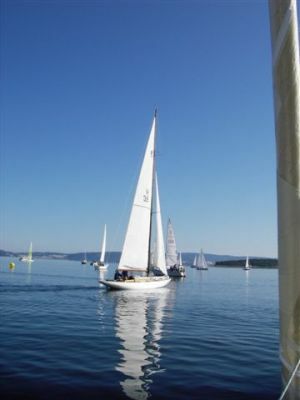 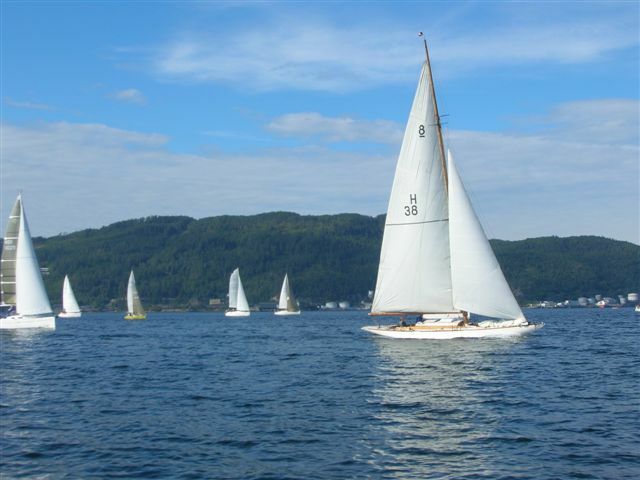 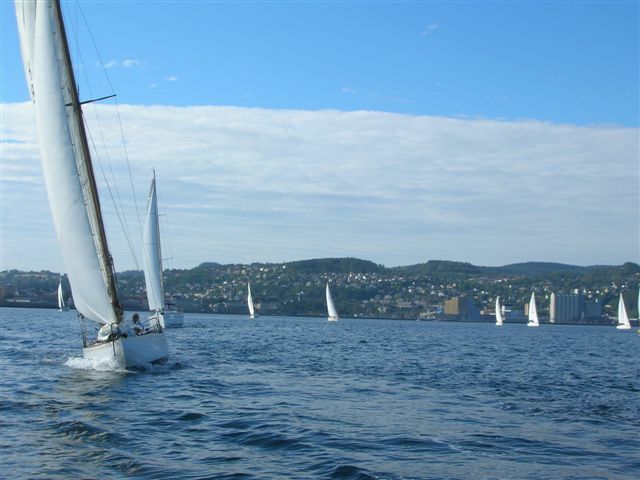 The Örland-race 2001 LYS Classes. 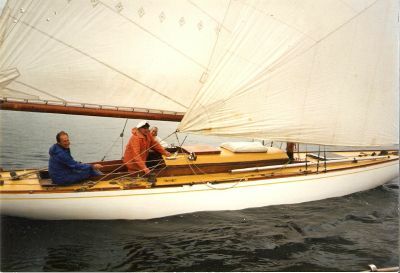 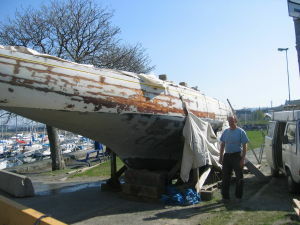 Ole Östlund with crew Stein Skaanöy, his son and friend. 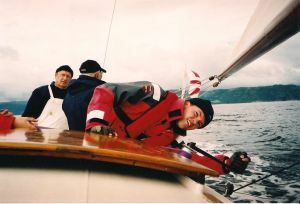 on the Trondhjemsfjord in summer 1992. 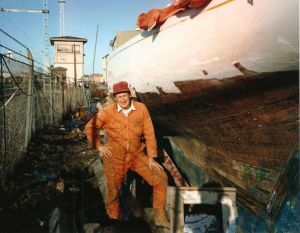 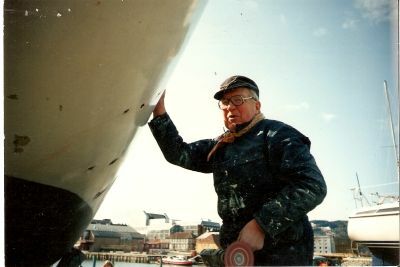 The old skipper 82 years of age still going strong in spring 1992. 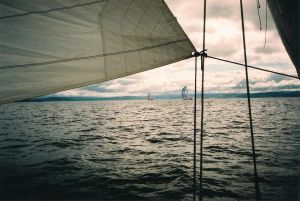 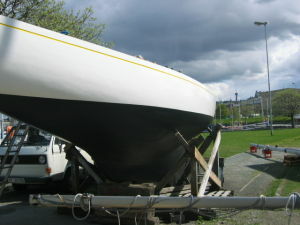 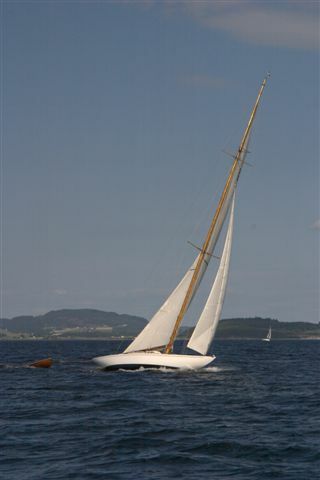 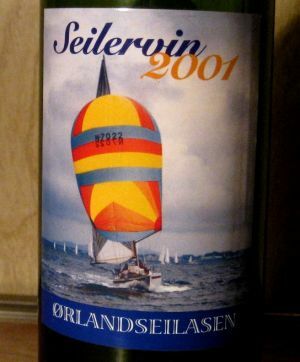 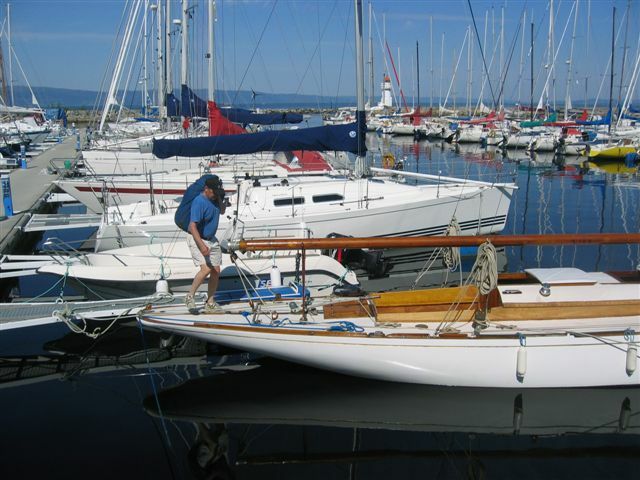 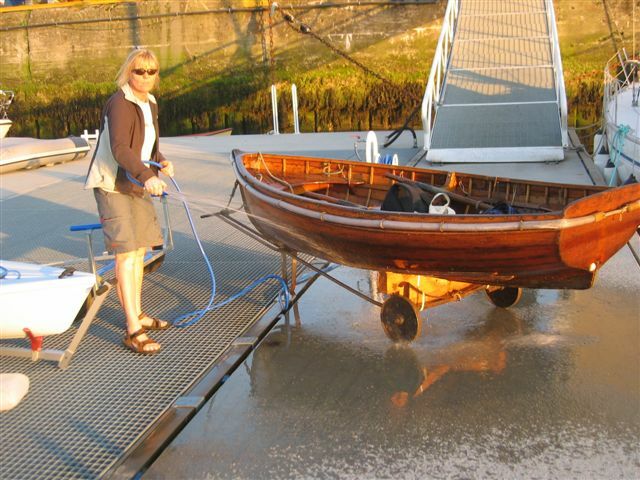 "Glohane" - regatta 2004, 2nd prize. 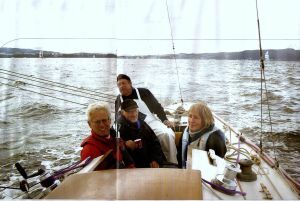 Ole Östlund at the helm, from left representative KNS, Ole Jörgen and Kristin Stav. 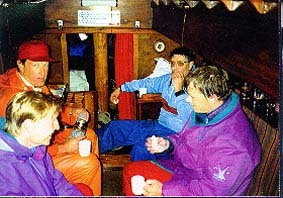 Debriefing in cabin after race.